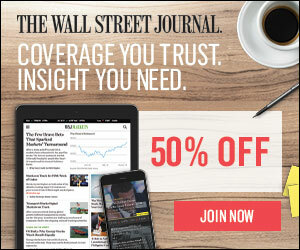 US News & World Report invited me to evaluate their 2017 Airline Rewards Credit Card Study. I’ll provide a summary and analysis of the report, and expand on credit cards that warrant attention. The study divided the airline rewards credit card discussion into two categories: airline co-branded cards, such as the Chase United Explorer Card, or American Express Delta Gold Card, and travel rewards credit cards, like the Barclaycard Arrival Plus World Elite MasterCard, or Chase Sapphire Preferred. 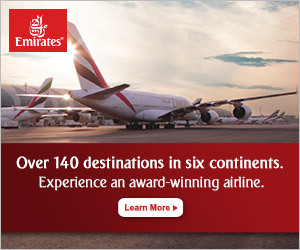 I would differentiate between points that can be transferred to airlines (American Express Membership Rewards, Citi ThankYou Points, Chase Ultimate Rewards, and Starpoints), and points redeemed as a travel credit (such as Bank of America’s Travel Rewards, or Barclaycard’s Travel Rewards), which rarely offer outsized value. The study concluded that 20% of cardholders lose more than they earn in rewards in a typical year. Free flights, no surprise, are the leading reason people sign up for an airline credit card. Airline miles are more difficult to use than in the past, and thus, a card earning transferrable points might be your best bet. The most popular airline credit card benefit is free checked bags, especially critical with the introduction of basic economy fares. The study went on to note that airline rewards credit cards usually offer a signup bonus, and then award miles based upon spending. Cards often give bonus miles in different categories, such as travel, dining, or entertainment. One of the leading drawbacks to airline rewards credit cards is the complicated rewards structure. (If you need help deciphering airline miles or credit card points, contact Matthewriter’s Travel Agency). Airline credit cards often have an annual fee and require a stricter credit score for new applicants. In determining if an airline credit card is right for you, the study said you should spend a significant amount on yearly travel. Applicants should have good or excellent credit, and be in a position to pay off a balance in full each month. The steps toward choosing the best card include: picking the best rewards program, comparing co-branded v. travel rewards cards, calculating the signup bonus and earning potential, as well as redemption value, of points. You should subtract the annual fee, and understand the travel benefits offered. The study included an analysis of the Barclaycard JetBlue World MasterCard v. the Barclaycard Arrival Plus World Elite MasterCard. Cardholders who often use JetBlue will get more value out of the JetBlue card, but most people will find the versatility of Barclaycard’s Travel Rewards more persuasive. The study determined the Chase Sapphire Preferred to be the best card for large airline spending and signup bonus. The best card for small to medium airline spending, with a signup bonus and no annual fee, is the Bank of America Travel Rewards Credit Card. 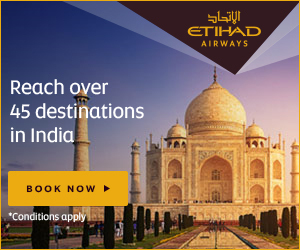 The Barclaycard Arrival Plus World Elite MasterCard is optimal for flat-rate travel rewards. The study concluded that United, American, Delta, Southwest, JetBlue, or Virgin Atlantic flyers would be best off with an affiliated co-branded credit card. In deciding how to maximize rewards, the authors said cardholders should ensure the fees are worth the cost, perhaps obtain a travel rewards card and a co-branded card, as well as maximize loyalty tier rewards, and bonus category returns. The study is constructive. Travelers can benefit from reading it. They mentioned in passing a few cards that merit additional discussion. The first is the Bank of America Alaska Airlines Credit Card, which offers 30k miles as a signup bonus, plus a $99 companion certificate at each anniversary (and for a limited time, a free companion certificate after meeting the minimum spending requirement). Alaska miles are arguably the most valuable US-based airline currency, considering the partner award chart can be coaxed out of awards like Vancouver to Hong Kong (free stopover) to Singapore in Cathay Pacific business class for 50k miles. With the acquisition of Virgin America, Alaska’s route network and weight in the industry have expanded. If you need more Alaska miles, consider transferring in Starpoints, the versatile currency from SPG. Another compelling card the study referenced is the British Airways Credit Card from Chase. It offers 50k-100k miles after meeting the minimum spending requirements. British Airways miles (avios) are valuable for short, direct routes, since they have a distance-based award chart. Fly from the East Coast to the Caribbean with American Airlines, a partner. Or Dublin to London with British Airways for 4,500 avios. Finally, the AAdvantage Aviator Red MasterCard from Barclaycard recently upped the signup bonus from 50k to 60k American miles. As in days of old, the bonus is after first purchase, meaning you can buy a coffee and fly business class to Peru and back. The card offers 10% of redeemed miles back each year, up to 10k miles. Redeem 90k miles and get 9k miles back. Signup bonus is currently 75k ThankYou Points (transferrable to 14 airlines). 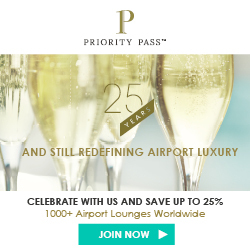 $450 annual fee, but it’s offset by an annual $250 airline credit, a $100 global entry credit, PriorityPass airport lounge access for the cardholder and two guests, a fourth night free benefit good at nearly any hotel, and 3x points on travel, including airfare and hotels, as well as 2x points on dining and entertainment.